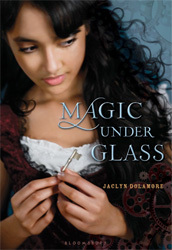 Joining us this week is Jaclyn Dolamore, author of the YA fantasies Magic Under Glass, its sequel Magic Under Stone, and Between the Sea and Sky. Jaclyn skipped college and spent eight years drudging through retail jobs, developing her thrifty cooking skills and pursuing a lifelong writing dream. 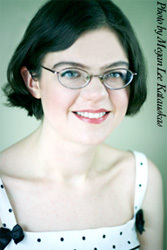 She has a passion for history, thrift stores, vintage dresses, David Bowie, drawing, and organic food. She lives with her partner and plot-sounding-board, Dade, and three weird cats. Today she talks about teaching your mind to recognize the positives in life, when there are so many things you could be worrying about. I’m writing this post at the last minute because I’ve actually been struggling with what to write about. I first thought I might talk about my fear of flying. I’ve never liked flying, ever, but I had a flight going out of DC two years ago that hit a big rollercoaster dip on takeoff, and after that I really had to fight to regain my ability to go anywhere without losing my mind. It was particularly tested when I was asked to do a library visit in Dallas, because that meant taking on a certain responsibility to get on the plane no matter what the weather, because people were expecting me and paying me. But then, I wasn’t sure that struggle had much of a conclusion. I’ve shoved my panicked self onto a plane, I’ve gotten better at deep breathing, I ended up with some FANTASTIC seat mates and smooth flights, I tried Dramamine and then succumbed to taking a mild dose of Xanax when the weather looked mildly scary (but turned out to be smooth anyway…hey, at least I actually managed to read half of a novel for the first time ever on a plane). I feel like these struggle stories should have a better ending than “when life gets rough, you’d better hope your seat mate is a really zen Hindu businessman, and if not, carry some pills”. Could be worse mottos, I guess. Then, I thought perhaps I would talk about my struggle with friendships. I’ve always had a hard time with friends. I’ve never had a best friend. I always feel like the girl everyone likes but no one likes best. But this is something I really don’t know how to talk about. Friends that I felt a deep connection with seemed to have no trouble dropping out of my life, and now I’m terribly neurotic about the subject. Plus, I’ll admit I’m not always a very good friend either. Although I can certainly be friendly and outgoing, I’m still an introvert at heart, and if I don’t feel a deep connection with a person, I usually would rather just stay home and write than spend time with them because it’s very exhausting to me to socialize with people who are anything less than kindred souls. This sounds callous and means I feel like a jerk with a lot of perfectly good people, and it’s one reason I like conferences and writing festivals better than intimate gatherings and regular critique groups–I am actually less exhausted by hanging out with a bunch of people at some huge crazy event than just one or two people. I don’t really know how to explain to people that I love BEA better than a writing retreat BECAUSE I’m an introvert. Since that topic just remains too emotionally loaded for me, I thought maybe I could talk about my career. This has been a weird time for me. I just sold what will be my fourth and fifth books to Disney-Hyperion last year, and that’s been great. I’m not sure ANY book deal comes without some struggles, but still, the whole thing came together easily as these things go. I’ve been lucky, and I’m well aware of it. At the same time, my second and third books came out within just a few months of each other, which was surprisingly stressful. When my first book came out and not everyone liked it and sales were just okay, I got used to bad reviews pretty quickly, and they slid off my back. 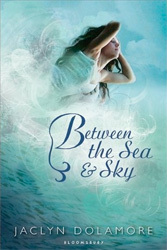 What I didn’t realize at the time was that my coping mechanism was to tell myself that it was fine BECAUSE I was personally much more passionate about my second book, and then I thought my third book was a real leap forward as far as my growth as a writer. 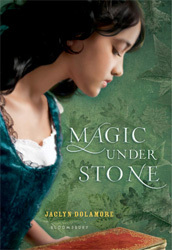 The first time I saw a review of my third book that said, basically, that it was awful and they couldn’t believe it was the same author as Magic Under Glass, in some ways it felt even worse than the first bad review I ever received, because my good old mental pep talk had basically been stomped on and ground to dust. When your first book comes out you have to face the idea that not everyone will like your debut, but by the time I got to book 3, I’ve been having to come to terms with the kind of author I am in general, and the fact that some people will HATE ALL of my books, will occasionally even hate me PERSONALLY (at least, what they know of me), while other people will think that my first book was the BEST ONE, no matter how much work I’ve put in to grow as a writer since then. And yes, some people will also think I keep just getting better, but as usual, those aren’t the people I think about when I’m laying awake at 3 am. In the end I realized that what I struggle with most is my own mind. Some people have truly awful life circumstances; deaths of loved ones, diseases, injuries, loss of jobs or homes, things they couldn’t control that anyone would find to be a test of strength. So far, knock on wood, my actual life circumstances have always been good. I’ve been lucky to have many opportunities to travel (and worry about airplanes). I’ve always had a lot of wonderful people in my life, even though I keep mourning the few dear friends that drifted away from me, and I don’t always appreciate what I have. I can only remember ONE time in my life when I had no money some years ago, and that was only because I caught the flu and missed a month of work. I recovered with the next paycheck and a few months of very cautious budgeting. And yet I also can’t remember a time when I wasn’t worried about not having any money. My worrying-about-not-having-money to not-actually-having-money ratio is like 2000:1. This year I signed up for a yoga class for the first time. I spend an hour thinking about connecting my feet to the floor, and movement, and breath, and then at the end we close our eyes and try to calm our minds and relax. It’s hard to calm my mind. I’ve gotten a little better at it with each class. I always leave feeling vibrant and happy, no matter how grumpy I was all day. My new mantra is to live like my brain is in yoga class. That might be the biggest struggle of all, but if I can get there, maybe someday I’ll be the one calming my seat mate on a plane. I used to be very pleased to find this internet-site.I wanted to thanks for your time for this excellent learn!! I definitely enjoying every little little bit of it and I’ve you bookmarked to check out new stuff you weblog post.